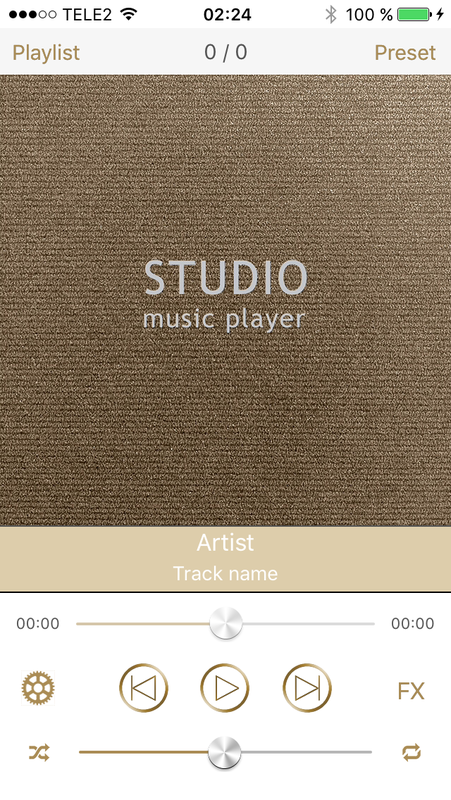 This unique player will allow you to hear the music totally different as on expensive studio headphones and speakers. Now, there are more than 80 presets for the most famous brands in the player. You can find the list of devices down below. It is constantly updated by new devices. For professional users, the player has a 48-band paragraphic equalizer to adjust the sound manually. 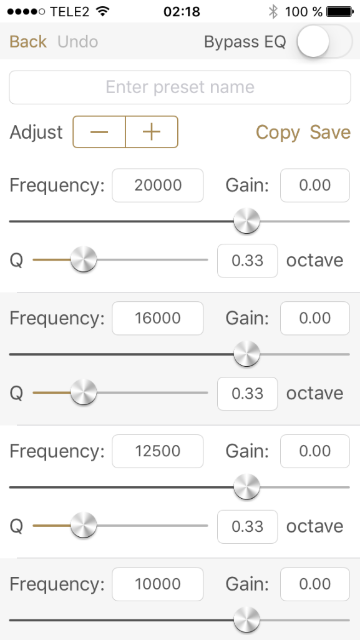 Equalizer selection of any frequency between 20 and 20,000 Hz, bandwidth within the range of 0.1 – 2 octaves, gain from -10 to +4 dB and total 48 bands! This is a truly great opportunity! Also you can save EQ setting to e-mail by double clicking "Save" button. Someone likes more bass, and someone – trebles. That's why we made the section easy adjustable to your tastes. Here you can add or remove sub-bass, bass, mids, trebles and presence. Just tap to "lyrics" icon to get song lyrics & tons of additional materials on Genius web page. Our player is smart, so it will activate the appropriate preset when connected to a bluetooth device. 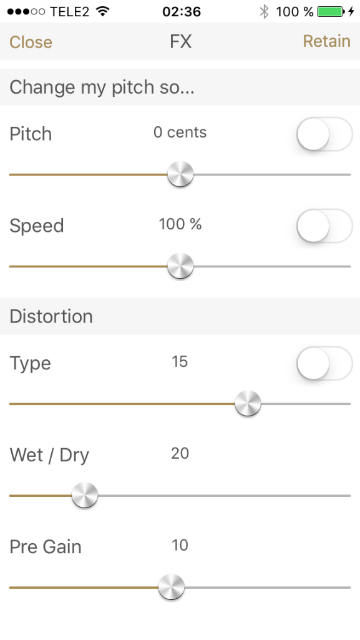 You only need to choose the appropriate preset when connected to a new bluetooth device. 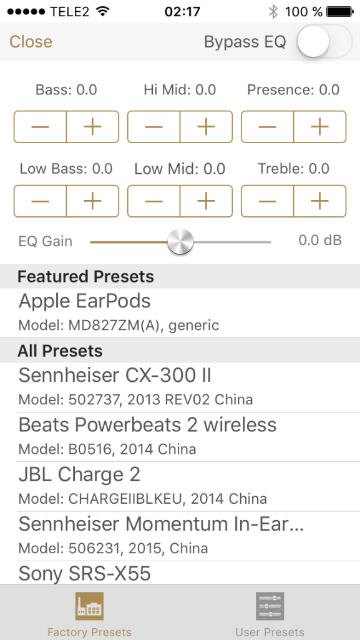 When disconnecting the device, the last preset is activated, which was used for audio output (headphones). We’ve made sure that you can enjoy your favorite music in high quality playback for a long time and made a player that consumes little CPU resources and energy. Sometimes you want to have a closer look at the album cover, but how to do it? Double-click on the cover or a "stretching" gesture will make a zoom. You can send a title of the track you liked and FX settings thereto to your e-mail by double-clicking on the name of the song or artist in the main window of the player. Everyone has a favorite color. That's why we have made 13 color schemes to choose from: Orange, Grey, Gold, Black & White, Red, Yellow, Blue, Marine, Pink, Violet, Cyan, Brown, Dirty Pink. Player has FX module! In this module you can change tonality and playback speed "on the go". 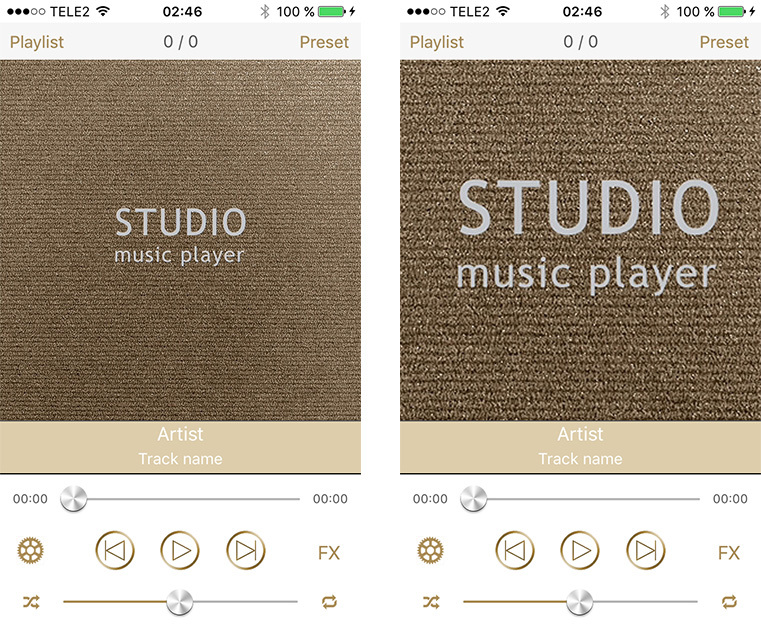 It is fun and very convenient for those who are engaged in the creation of sampling music. The player has a simple user interface that allows opening the playlist from any window by moving a finger from left to right – it's very convenient! In Shuffle mode the same track will be played again only after the entire playlist plays, and not before. This way, we avoid repeats when playing a playlist. All presets are created exclusively on the original brand-name audio devices. The sound on forgeries is absolutely incompatible with our player! The device must be of the same year, and the model must coincide with the model being in presets. Otherwise, there is no guarantee of a high quality sound. How to add music into player? You can add music via iTunes, but very important to DISABLE «Use iCloud library» in your iPhone’s Settings -> Music. Also you can to listen music purchased from iTunes store, but this music must be downloaded into device (iCloud music can't be played). How i can add bass / trebles in Factory preset? How to add music into Player DX? 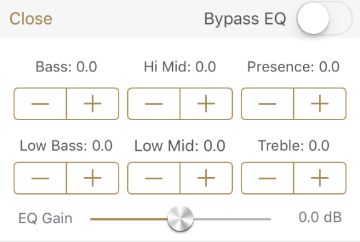 How to use 48 band equalizer? EQ needs to hear the difference between tuned sound (EQ on) and untuned sound (EQ off). What preset is better for car audio system? Every audio system needs to be adjusted individually. You can use only your own preset (user preset), adjust it manually. Only this way.